The second edition of this seminal work includes the original text, first published in 1974, alongside two major new chapters. Power: A Radical View assesses the main debates about how to conceptualize and study power, including the influential contributions of Michel Foucault. 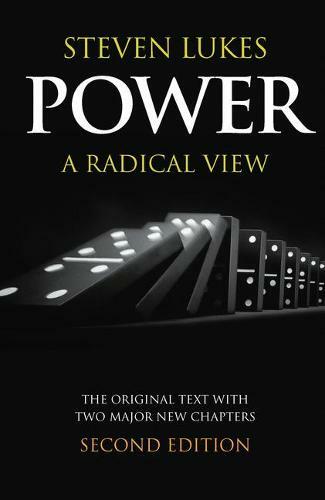 Power Revisited reconsiders Steven Lukes' own views in light of these debates and of criticisms of his original argument. With a new introduction and bibliographical essay, this book has consolidated its reputation as a classic work and a major reference point within Social and Political Theory. It can be used on modules across the Social and Political Sciences dealing with the concept of power and its manifestation in the world. It is also essential reading for all undergraduate and postgraduates interested in the history of Social and Political Thought.